On 30 September, the Hon Scott Morrison MP, Treasurer of Australia, gave an address at the Lowy Institute on the importance of trade, investment, and positive immigration policies to Australia’s economic future. After twenty-five years of uninterrupted annual economic growth an entire generation has grown up without ever having known a recession. This is despite a GFC, an Asian financial crisis, global terrorism, SARS, one in a hundred year floods, droughts and a one third fall in our terms of trade. For some, a quarter of a century of economic growth has given rise to complacency. What does it matter if our budget is in deficit, or our debt is now growing at $1.4 billion per week? Just raise taxes or borrow more, what could possibly go wrong? At the last election Labor actually proposed to increase the deficit by $16.5 billion and are on record arguing that there is ample room to increase our Government debt even further. But for others, they are asking questions about why they feel they have not benefited from Australia’s growth as much as they expected. They are asking practical questions like why are my wages not increasing like they were before? Why can't I get the extra hours I was getting before? These sentiments are real and they are looking for something to explain it. According to a recent poll, almost half of Australians are in favour of banning Muslim immigration. There are similar results for banning foreign investment and opposing free trade agreements. Support for these measures is the product of genuine anxiety in our community about these issues. It can be politically popular and rewarding to simply endorse these policy sentiments. However, there is great danger in following this path. Investment, trade and immigration bans not only fail to address the cause of concerns that Australians have, but worse they would cut Australians off from the primary sources of their prosperity for over two centuries. Australia cannot afford to adopt the “doona economics” approach that suggests we can pull the doona over our head and insulate ourselves from the economic changes that are occurring globally and domestically. Foreign investment, trade and an immigration programme that is focused on bringing people to Australia who make a contribution rather than take one, creates jobs, boosts wages, drives growth, increases our living standards and always has. Ensuring that foreign investment, trade and immigration policies continue to serve our national interest is a key component of the Turnbull Government’s national economic plan for jobs and growth. During the past month I have been delivering a series of presentations titled 'staying the course', setting out how the Turnbull Government’s national plan for jobs and growth is being implemented to address the concerns of Australians seeking greater job and income security in a transitioning economy, to deal with the cost of living pressures they face. In the first of these presentations I stressed the need for us to build up our economic resilience to deal with inevitable external economic shocks that will come our way. In addition to making our banking and financial system even stronger we must urgently arrest our climbing public debt. Thanks to the Howard Costello Government, when the last crisis hit, the Commonwealth was debt free, in net terms. They achieved this by doing three things. Firstly, they arrested the growth in debt that stood at 18.1 per cent of GDP when they were elected, by restoring the budget from a deficit of 2.1 per cent of GDP in 1995-96 to zero in 1997-98. This was achieved, predominantly, by getting public expenditure under control. Secondly, they maintained budget surpluses for a decade by implementing economic reforms that supported growth in our economy. As national incomes rose from increased profits, wages and prices for what we were selling, so did Government revenues. By not spending more than was coming in for ten years, they achieved accumulated surpluses of 11.5 per cent of GDP that eroded the debt, year on year. Thirdly, the Howard Costello Government realized asset sales of almost 9 per cent of GDP from 1996-97 onwards. This further assisted the retirement of debt and provided the foundation of the Future Fund that now stands at more than $120 billion. To arrest our debt we must first get the budget back into balance by getting expenditure under control. The Budget I delivered in May projects a return to balance in 2020-21, subject to parameter variations, with Commonwealth expenditure to fall from 25.8 per cent to 25.2 per cent, which is still above trend. To get this expenditure under control requires us to address the cumulative impact of previous spending decisions and make them affordable in today’s fiscal environment. Prior to the 2013/14 budget there had been fourteen consecutive budgets where the Government made decisions to increase policy spending in net terms. This means that policy decisions to increase spending (lower revenue) on new programmes and initiatives were not offset or ‘paid for’ by policy decisions to reduce spending (increase revenue) in other areas. In surplus years, this new policy spending was paid for by higher revenues driven by the increased employment and growing incomes of a growing economy. Nominal GDP growth from 2003-04 to 2006-07 was around 8 per cent per year. There was also less pressure on welfare spending, as a growing proportion of the working age population were in jobs. In the Rudd/Gillard/Rudd years, new policy spending reached historic levels at 26 per cent of GDP. This includes converting temporary spending measures in the form of various supplement payments introduced under the Howard Costello Government when they could be afforded, into permanent payments under Labor. There are now 53 such supplements in our welfare system. During this time, nominal GDP growth fell to 5.8 per cent and the record new spending was funded by increasing our debt. The result under Labor was a huge surge in net debt, from a positive balance (money in the bank) of $45 billion in the budget Labor inherited (2007-08) to a net debt of over $200 billion in the budget they left behind (2013-14) to the Coalition. Net debt is now back at more than 17 per cent of GDP. The other outcome from this period was to hard-bake more than a decade of structural increases in policy spending into the budget, which now comprise an inestimable proportion of our current spending profile. With an inherited deficit, a growing debt and nominal growth over the last three years running at less than 3 per cent, we have been disciplined on not spending more than we save. But there is much more to do. Our task is to address expenditure measures, wherever possible, that can no longer be afforded, are no longer fit for purpose or can be better targeted. The same applies to revenue measures where it leads to greater sustainability and integrity of the tax base. Our changes to retirement incomes on both the assets test for the age pension and superannuation tax concessions are prime examples of this approach. In our last sitting week in parliament we finally made some important progress in getting $6.3 billion in expenditure reductions passed through the parliament, which will reduce Commonwealth debt by more than $30 billion by 2026-27. It took three years to get there and represents only a modest start. There is another $20 billion in expenditure restraint measures from the Government yet to be passed by the Parliament. But as was the case with the Howard Costello Government, the debt will not be repaid by expenditure measures alone. To pay back the debt we will need to boost our incomes by implementing economic policies that lift productivity, drive investment, increase profits and support higher real wages. That is why in my second address, titled 'Staying the course - increasing what we earn', I set out a series of initiatives the Turnbull Government was implementing to increase the earnings of businesses, wage earners and as a result, Governments. Our enterprise tax plan provides incentives for small and medium sized companies to reinvest their earnings to build their business and employ more people. Our national competition policy reforms recommended by the Harper review are focused on improving the standard and delivery of public services, reducing regulation and providing a more level playing field for small and medium sized businesses to compete. Our National Innovation and Science Agenda is delivering tax incentives, new bankruptcy provisions and other regulatory settings all designed to help innovators seize new opportunities and flourish, including transformational sectors like FinTech. Our twenty year defence industry procurement plan will see ships and submarines built in Australia, supporting thousands of high-tech manufacturing jobs and sustaining industry capability right across the supply chain. Our $50 billion National infrastructure plan combined with successfully rolling out the NBN is boosting productive capacity, enhancing key freight links and backing our digital economy. Today, I want to address how keeping the door of our economy open to investment, trade and immigration will also help us increase what we earn and boost our living standards. As a large, resource rich country with relatively high demand for capital, Australia has relied on foreign investment to meet the shortfall of domestic savings against domestic investment needs for over two centuries. Unlike many advanced economies, Australia needs to fund a current account deficit (CAD) of around four per cent of GDP on average each year. Restricting the foreign capital inflows needed to fund this size would result in a reduction in the living standards of Australians, with less investment, lower growth, fewer jobs and lower wages. Previous Treasury modelling suggested that this reduced capital inflow would lower GDP over the following decade by 2.6 per cent, gross national income by 2 per cent and reduce real wages by 7.2 per cent. Foreign capital has allowed the Australian people – including our generation – to enjoy higher rates of economic growth, employment and a higher standard of living than could have been achieved from domestic savings alone. The Australian economy has been built on successive waves of foreign investment: First from Britain, then the United States, Japan and now, increasingly from China. In 2014-15, the Government approved almost $200 billion in foreign investment flows into Australia to fill the gap in investment demand. Over the past five years, investment from China has grown most strongly, by more than 20 per cent off a low base, while there has been 10 per cent plus growth from Canada, Japan and the Netherlands. Notwithstanding this growth in Chinese investment, in 2014-15 Chinese applications accounted for less than a quarter of all applications by value. Today there is more than $3 trillion of foreign investment in Australia. $735 billion is in foreign direct investment with a further $460 billion in portfolio equity investments. Of the various forms of foreign investment, foreign direct investment or FDI has been the more stable funding source than other key forms of external finance, such as foreign portfolio investment and debt. According to the ABS, the primary source countries for the stock of FDI are the USA with more than $173 billion (24 per cent), followed by Japan at $86 billion (12 per cent), the UK at $76 billion (10 per cent), with China at $35 billion, Singapore at $29 billion and Canada at $26 billion, all less than 5 per cent each. Other things being equal, good FDI is our preferred means of financing our CAD. It not only covers the gap, but does so in a way that brings multiplier benefits for our economy. The entry into the Australian market of German grocery chain ALDI and US grocery chain Costco has had a substantial positive impact for consumers and shaken up what was a tightly controlled supermarket duopoly. Since it opened its first Australian store in 2001, ALDI has now grown its share of the supermarket sector to around 12 per cent. It has been estimated that ALDI and Costco between them will account for around 20 per cent of the supermarket sector over the next decade. The decision to allow foreign banks into Australia had similar impacts on our rather sclerotic banking system in the 1980s, expanded credit growth for businesses that, in turn, fuelled their growth. FDI has also helped create world-class services offerings clustering around advanced manufacturing, and even in our export mainstays of resources and energy. For instance, Boeing has made a significant contribution to the Australian economy over the last decade and invested more than $800 million in Victoria. Around 1,200 people work at its Fisherman’s Bend Facility in Port Melbourne - primarily making wing flaps for Boeing’s Dreamliner and 777 aircraft. In addition to making parts for its aircraft, Boeing has also invested heavily in services at Fisherman’s Bend – which now houses its largest R&D site outside the United States. This kind of investment is a massive vote of confidence in our economy and our skilled workforce. The CSIRO and nine Australian Universities are collaborating at Boeing Research and Technology Australia, conducting ground-breaking research and developing a range of new aviation products. Among other things they have built an enviable capability in next-generation materials that reduce costs and production times for the industry. FDI also drives productivity improvements through improved access to markets, technology transfer and hard wired linkages into global supply chains. In 2016, GlaxoSmithKline opened a pilot vaccine facility in Boronia, Victoria, which uses ground- breaking new technology for the delivery of vaccines. Over the past four years, GlaxoSmithKline has invested more than $100 million in its Boronia manufacturing plant – the company’s largest site in the southern hemisphere. In 2014, German healthcare company, Fresenius Kabi invested $47 million to expand its Australian operations in Melbourne and will produce innovative infusion treatments, irrigation solutions, intravenous generic drugs and compounded oncology products. The investment is expected to create 120 highly-skilled jobs in Victoria. Also in 2014, British defence and aerospace company, BAE Systems opened a $10 million components production facility in South Australia where it will produce titanium tail fins for the F-35 Joint Strike Fighter (JSF). In the same year, Saab established a new Advanced Maritime Systems Centre in the Adelaide Technology Park. The Centre employed over 100 local combat systems engineers, project managers, and software engineers, and the company plans to increase the workforce to over 200 by 2020. FDI is also supporting jobs and communities in agriculture, where the sector is desperately in need of capital. The bottom line is that in many cases foreign investors are coming in and supporting agricultural enterprises that have not received that same support from Australian investors. British dairy company Longley Farm invested more than $100 million in a high-tech milk processing facility in Casino, New South Wales, developing a unique export business based on a patented ‘fast-freeze’ technology. US company Monsanto began operations in Australia in 1928 with a focus on commodity chemicals before expanding into agricultural products. In 2013, Monsanto Australia announced a purpose-built research facility in Toowoomba to ensure cotton growers continue to benefit from its successful insect-tolerant and herbicide-resistant cotton. Chinese investors have also been active in agricultural investment. However, the level of involvement suggested in some public commentary is exaggerated. The agricultural land register firstly shows that 86.4 per cent of all agricultural land in Australia is owned by Australians and that of the 13.6 per cent agricultural land owned by foreign interests, over 80 per cent of this interest is leasehold. Less than one half of one percent of all agricultural land in Australia is owned by Chinese nationals and like with foreign investment more broadly, Chinese nationals are not the dominant foreign ownership source. China accounts for just 3 per cent of all foreign owned agricultural land, while the Americans, British and Dutch account for more than two thirds of the holdings. Of the major agricultural foreign investment applications I have approved as Treasurer, the largest were to combinations of US, Canadian, Dutch and Swiss investors, not Chinese. In January, I approved proposals totalling $467.3 million, including among others Milton Downes, Koramba Aggregation and Baroma Park. I have also approved the sale of Rocklands and Tanbar stations for up to $212.5 million to the Dutch. The combined value of these sales alone, more than eclipsed the combined value of the approvals I have authorised to Chinese purchasers over the same period. And those that have been approved have received support because, like foreign investment from other sources, they are adding value, creating jobs and improving productivity. This year, Kimberley Agricultural Investment (KAI), a Chinese subsidiary, purchased Carlton Hill Station in the Ord River district of Western Australia, from Consolidated Pastoral Company, whose beneficial ownership was in the UK, for an estimated A$100 million. To date, KAI has invested up to $700 million over six years on a greenfield agricultural development near Kununurra, Western Australia. KAI will lease and develop 13,400 hectares of irrigated farmland cleared through the Ord-East Kimberly Expansion Project. This investment will enable the expansion of cropping in Northern WA, including high value grains such as chia and also possibly cotton. While acknowledging the value and contribution of foreign investment to our national prosperity, it is important to strike a balance between maintaining an attractive and welcoming environment for foreign capital on the one hand, and maintaining community confidence in the foreign investment regime. As I found with immigration, Australians must have confidence that there are clear rules that protect the national interest and that these rules are being enforced. That is why our Government has acted to strengthen the controls we place on foreign investment and is following through with improved enforcement to pursue those who break the rules. For residential real estate we have established a dedicated unit within the ATO to review cases and strengthen compliance. This has already improved compliance and enforcement through the use of the ATO’s sophisticated data matching systems and specialised staff with compliance expertise. $96 million in divestments have so far been ordered under this new compliance regime. We have also increased application fees for foreign investors purchasing real estate to ensure that Australian taxpayers no longer have to fund the cost of administering the system. For agriculture, we increased scrutiny and transparency around agriculture investments, including by lowering the screening threshold from $252 million to $15 million (applied cumulatively) on 1 March 2015 and enshrining that in legislation. We also applied a $55 million threshold to investments in agribusiness. We also introduced increased, and unprecedented, transparency into the system through the creation of a comprehensive register of foreign ownership of agricultural land that commenced collecting data from 1 July 2015. Infrastructure asset sales is a new and growing challenge for our foreign investment regime, requiring a greater capacity to focus on national security issues. In response I boosted FIRB’s expertise in this area with the appointments of David Irvine and David Peever, who have well recognized experience in these areas. We also acted to enable FIRB to formally review critical infrastructure assets sold by State and Territory governments to private foreign investors from 31 March this year, in accordance with the relevant thresholds. It is also important that we place tight controls on how these assets are managed and controlled, when foreign investment is involved. That Is why, as Treasurer, I have imposed unprecedented new conditions on foreign investment in infrastructure assets to ensure that control of the assets is kept in the hands of Australian citizens, with security clearances as appropriate. This includes insisting that the majority of board members of new ownership entities are citizens, and even requires a majority of Australian citizen board members to satisfy quorum requirements for Board meetings, including sub committees. Another key issue that concerns Australians about foreign investment is whether foreign investors pay tax on their operations in Australia. That is why on each transaction I approve I have imposed a new tax deed which, if a company for example seeks to shift profits offshore to avoid paying tax in Australia, I can force a divestment of the asset, in addition to other existing penalties provided for in our multinational anti avoidance laws we successfully introduced last year. It is true that the vast majority of foreign investment proposals that go to the FIRB are accepted, but not without proper scrutiny first, with either myself on major transactions or the Minister for Small Business or Treasury on lesser value transactions making the final decision. I am on the record as throwing my support behind proposals that have demonstrated that they are not contrary to the national interest and can make a positive contribution to our community and our economy. However, at the same time, I’ve demonstrated that I will not approve foreign investment proposals if I come to a considered view that they are contrary to the national interest. These instances demonstrate that the system is working. If I said yes to everything the Australian community would be rightly concerned that we weren’t taking this issue seriously. That said, we want to ensure the process is efficient as it can be and for the first time, we’ve just done a survey of FIRB users to invite feedback on their experience with our systems. I’ve asked Treasury to work with the FIRB Board to see if we can put something in place to ensure that we have a mechanism for users to provide feedback on a regular basis if they want. Like foreign investment, trade has also been a staple of Australia’s economic growth and critical to addressing our current account deficit and boosting Australian’s living standards. Our export trade deals were a core component of the national plan for jobs and growth that we took to the election. In 2015, Australia’s global export trade volume, including our tourism and international education sectors, delivered around $363 billion to our economy and accounted for around 19 per cent of our GDP in value terms. In the June quarter, our exports rose 1.3 per cent to be 9.6 per cent higher over the past year. This was the highest through the year growth in exports since the Sydney Olympics. A key feature of our export growth is that it is increasingly broad-based, supporting the successful transition we are making from the mining investment boom to broader based growth. Mining exports rose by 15 per cent over the past year as the industry continues to shift from the investment phase to the production phase. At the same time services exports are up 6.3 per cent through the year, with tourism and education continuing to be strong performers. Central to the growth in services exports has been the growth in earnings from our tourism and international education sectors. With more than 7 million visitors a year (including more than 100,000 every month from China), adding more than $40 billion or 3 per cent a year to GDP, and supporting 580,000 jobs, the gains are obvious. Similarly in education, where international students generate $19 billion for our economy, with around 650,000 students enrolling last year. In addition to health care, the next wave of service exports will be in human services, such as aged and disability care, where Australia has a strong reputation. Our recent trade agreements open up real opportunities for these services. These results have been achieved against a backdrop of declining growth in the volume of world trade. Growth in world merchandise trade has stayed below 3.0 per cent on an annual basis for five years and in 2015 its value fell because of shifting exchange rates and falls in commodity prices. In a world where many economies are contemplating pulling the draw bridge up on trade, it is in our national interest to stay the course and argue the case for continued trade liberalisation to keep markets open. We can’t afford not to trade. On this score the Coalition Government has practiced what it is preaching, first under Tony Abbott and now Malcolm Turnbull. 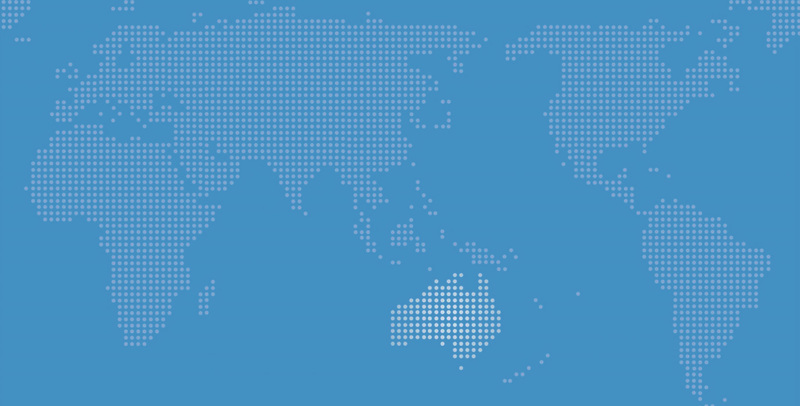 The FTAs secured under a Coalition Government with the powerhouse economies of North Asia – China, Japan and South Korea – are delivering significant opportunities to expand Australian sales abroad, and boost employment at home. Not only do they cut tariffs on key Australian exports, but they also provide for more open treatment and greater regulatory certainty for our service providers and investors. This same process is now being rolled out with our ASEAN trade partners. This makes sure Australian companies have every opportunity to compete on a level playing field and make the best of their hard work, skilled people and innovative ideas in the international marketplace. Practically speaking, it has been really pleasing to see some of the early results from the most recent of these deals, with China. For example, in the first six months of this year, there has been a doubling in the value of Chinese imports of fresh mangoes, fresh cherries, fresh table grapes and fresh oranges from Australia – all on products where tariffs have been cut twice already, and are on their way to zero in coming years. Fresh and chilled boneless beef imports into China have also grown by around 20 per cent in the first half of this year – great news for that important export industry as those tariffs also come down. Fresh lobster and abalone tariffs into China are falling for Australia, and Chinese imports of those products are up significantly – doubling for abalone, and increasing even more for lobster. 8.4 per cent now, and zero in just a few more years, our wine exports also are seeing continued very promising growth – positioning us to remain a key supplier of high-quality wine into that booming market. Finally, China’s imports of manufactured products like unalloyed zinc have also surged from January to June this year, taking advantage of the removal of tariffs on those products. These excellent China results also build on earlier success from the FTAs with Korea and Japan – products that benefited in 2015 from FTA-driven tariff cuts in those markets include fresh and chilled beef, macadamias, cherries, almonds, chipping potatoes, table grapes, rolled oats, fresh asparagus and wine. Finally, our success as an immigrant nation has been central to building the successful and prosperous economy we have today. Not only has the volume of our immigration programme been the prime driver of population growth that has supported our economic growth, but the composition of our immigration intake has been equally important. Our immigration program sets itself apart from other countries, as it is built on attracting people and families to Australia who want and are able to, as I said earlier, make a contribution rather than take one. Our immigration policies have always had, when they have been most successful, a strong economic focus. While we have a higher proportion of foreign-born citizens, we have a lower unemployment rate than many other OECD countries. An immigration system geared towards attracting migrants with high rates of workforce engagement and employment in skilled areas increases the productive capacity of our economy, thereby benefiting all Australians. The accompanying boost in economic activity generated, according to the Productivity Commission, can increase GDP per person by around 7 per cent. The Productivity Commission is projecting our GDP to be around 60 per cent higher by 2060 than it would with only natural increases in population. This is almost a trillion dollars in today’s terms. We saw this economic impact during the years of the Howard Government when not only did we double the level of permanent immigration to Australia, but we increased the proportion of skilled migration of our intake from less than 30 per cent under Labor in 1996 to almost 70 per cent, where it has remained ever since. The Turnbull Government is committed to ensuring that we keep this strong economic focus within our immigration programme. The factors that produce these economic results also result in greater social cohesion. In their 2011 policy paper titled Selection, Migration and Integration: Why Multiculturalism Works in Australia (and fails in Europe), the Centre for Independent Studies (CIS) studied the effects of policies regulating immigration in Australia and New Zealand. It found that ‘the relatively high educational and occupational status of immigrant’s parents … fully explains the better educational performance of immigrant children'. The CIS observed that ‘Australia predominantly received migrants who were qualified and capable of easily integrating into society’ and that Australia has been ‘cherry picking’ the best qualified migrants, most likely to make a positive contribution. The CIS went further to say that ‘if Australia wants to continue the process of attracting migrants into the future, it should not deviate from its policy of selecting migrants by their suitability’. They’re right. Coalition Governments have always seen the merits of this approach to immigration policy from Menzies to Turnbull. Seeking the reinforcing outcomes of economic contribution and social cohesion provides the foundation for community confidence in our immigration programme, which is necessary for its ongoing support. Upholding this confidence is one of the reasons why I personally, our Government and the Howard Government, took such a strong stance on border protection. While at the same time our immigration was doubled by the Howard Government, public concern about immigration levels being too high, as measured by the Scanlan Foundation survey, was halved. More recent Scanlon Surveys have found the proportion of Australians who believe the number of immigrants accepted as too high has again fallen since 2013, when our borders had been in turmoil after years of failed border protection policies under the Rudd-Gillard-Rudd Governments. The Lowy Institute’s own 2016 poll found 73 per cent of Australians now agree that immigration has a positive impact on our economy and 72 per cent, agree that ‘accepting immigrants from many different countries makes us stronger’ and strengthens us because of immigrants’ hard work and talents. This is in contrast to international surveys which Scanlon notes found disapproval of government handling of immigration in 12 European countries averaged 60 per cent in 2014. It would be foolish for anyone to deny that there is concern about immigration in Australia. The way to address it is not to be dismissive, but to engage on those concerns and have policies that effectively address them, as the Coalition has done, under Howard, Abbott and Turnbull, ably assisted, I would like to think by their respective Immigration Ministers. The same is true for our approach to foreign investment and trade, where our policies are delivering real economic benefits for Australians across the country. So we will continue to pursue immigration, trade and foreign investment policies that are focused on the national interest, by focusing on how Australians can participate and benefit from a growing economy, to boost wages, increase profits and raise our living standards. This has been our history. It has played a major role in delivering the prosperity we enjoy today. It must also be our future. We cannot deny this same prosperity to future generations by disconnecting ourselves from the very sources of this prosperity, namely foreign investment, trade and immigration, in the future. Our economy is successfully transitioning. We are one of the fastest growing advanced economies in the world today. Over 2015-16, we grew by 3.3 per cent and generated around 220,000 jobs. We have just completed twenty-five years of consecutive economic growth. The Turnbull Government’s national economic plan for jobs and growth that we are delivering is all about setting up the next twenty-five years.